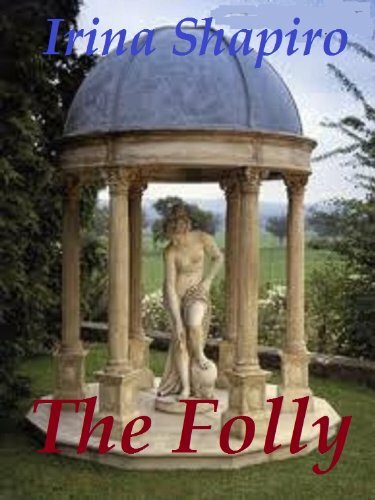 The story begins when the two bodies of the wife and son of a nobleman are dragged from a pond on the estate. Then the story continues in a flashback manner. A young girl's reputation suffers from a scandal and her father forces her to marry a middle aged baronet. After the wedding she meets his son. 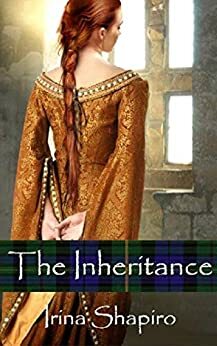 The story is set just after Waterloo and is a great read: mystery, romance, historical details. Very well done. A writer with relationship problems feels a weird connection to a skeleton that is found in an old Tudor house. She decides to buy the house and retreats there to write her next novel. For her next book the characters seem to come to life while she is writing the novel. 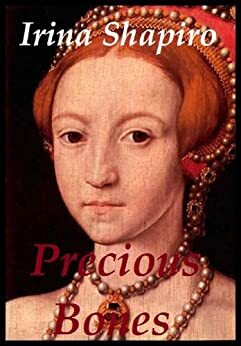 Precious Bones is in fact two storylines in one cover: the love affair in the Tudor Era and the life of the writer in today's times. A nice read that gives you a good idea about the Tudor days. also hopes to find out what happened to the lady of the castle in the 18th century. When you know about the Scottish Uprising not much news. Beautiful cover but the dress in mediaeval instead of 18th century.